Camp Broadway’s Mainstage musical theatre camp is the destination where theatre-loving kids ages 10 to 17 learn what life on Broadway is all about: working as a team to stage a full theatre production, personal growth in your artistic craft, and expanding your circle of theatre-loving friends. This immersive, 5-day intensive offers Mainstagers a taste of the total production experience! Want to improve your acting chops, explore costume design, or enhance your dance skills? 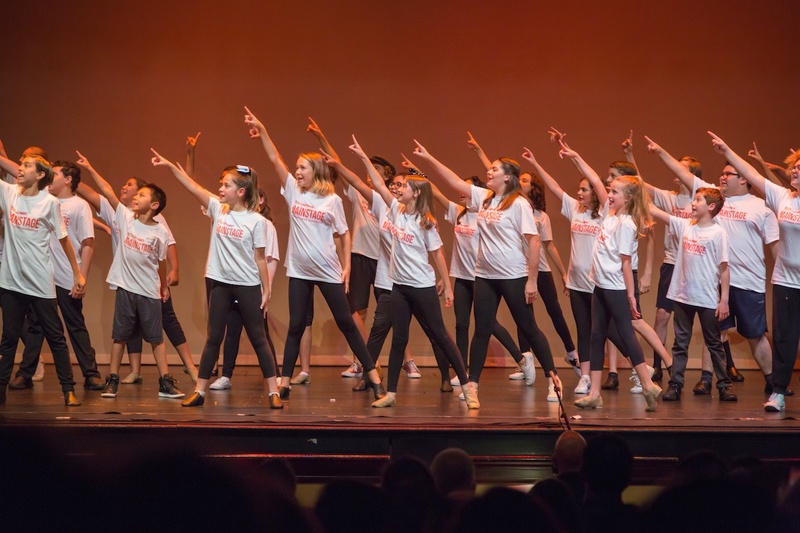 At Camp Broadway’s signature musical theatre camp, you’ll get to do it all while learning from seasoned Broadway professionals in a real professional theatre setting. Mainstage is also an unforgettable event for the whole family, culminating in a dazzling finale performance, showcasing your learning, talent, and passion for theatre! Nervous about making your stage debut? Don’t be! You don’t need to be a local theatre star or show choir diva to join Mainstage, just an excitement for the theatre and a willingness to learn and grow in your craft. Our supportive and enthusiastic Broadway community awaits! What Can You Expect from Mainstage? A better question might be, “What won’t you do?” This jam-packed week has it all – from preparing and performing, to getting industry insights from the pros. Military, sibling, and returning camper discounts available.